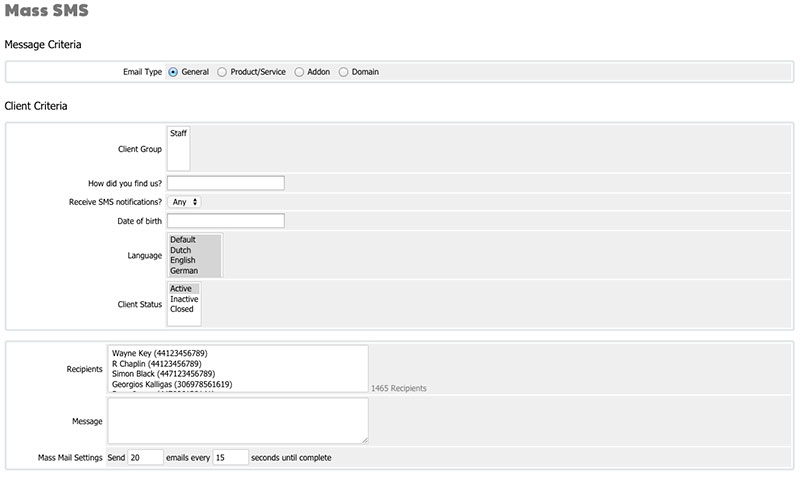 This is a great addon for WHMCS that allows you to send automated sms message to your clients on defined actions, Such as when they register, place a new order, change their password, complete payment, etc.. You can even send the a custom define sms or mass sms messages in the addon control panel. This addon will make your company look more professional, and can remind them all important customers when there invoice are due! NEW: SMS API - Integrate the SMS Addon directly into your own script with a few line of code! 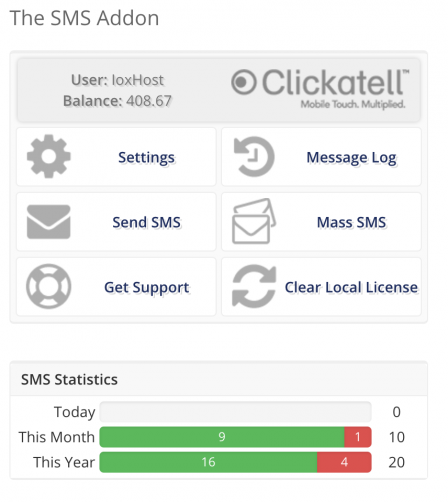 NEW: Safe Times: SMS scheduling, never wake a client up in the middle of the night! Admin Secure is a brand new function in the add-on, it seamlessly integrates with the SMS add-on to provide extra security for your admin directory. Owned Licenses include 1 Year Support & Updates access with the initial purchase. After the first year, support & updates access can be optionally renewed to maintain access at a cost of just £9.99 per year. Fantastic product. I have been using this addon for years, and it has never failed me once. It has infact saved several customers from letting their domain registrations lapse. I would seriously recommend this addon over others. Perfect product. I already tested similar products, but definately recommend this one. Never had a problem with sending messages, and even if there are any its easy to contact the team and they are very helpfull. [BUG] Bug fixed when gateway API returns credit balance of "0"